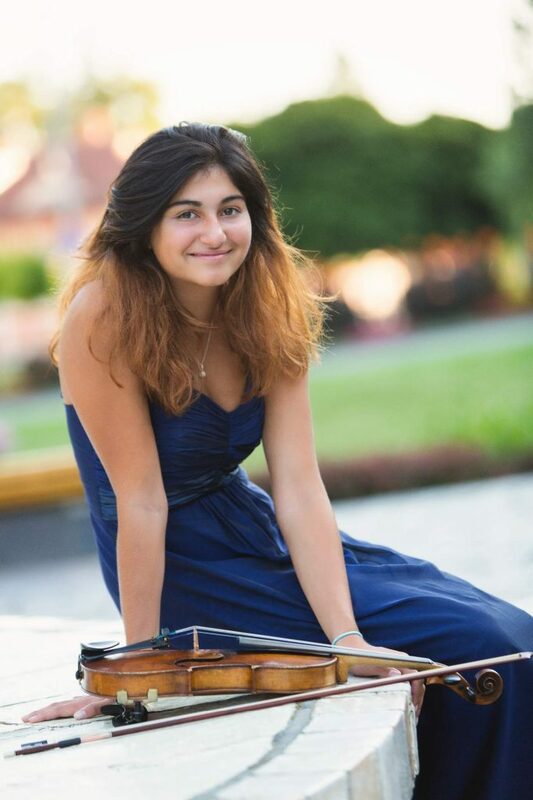 Ezo, born 2002, started music at the age of 4 at the Royal Academy of Music with the „First String Experience“ program, where she studied for five years. She then continued her musical studies at the Junior Guildhall for a further five years and currently attends the Yehudi Menuhin School with Boris Kucharsky. She has performed in various major concert halls such as: The Royal Festival Hall, Barbican Centre, Birmingham Symphony Hall, The Wales Millennium Centre, St John’s Smith Square, The Menuhin Hall, Milton Court, Royal Academy of Music and Royal College of Music. She had also performed at the Royal Northern College of Music, Windsor Castle and Buckingham Palace with Future Talent. Other than performing all around the U.K, Ezo has performed across Europe including Italy, Spain, Turkey and the Czech Republic. Ezo has had masterclasses and lessons from several renowned violin professors from all over the world such as: Ani Kavafian, Krystof Smietana, Esther Haffner, Michael Vaiman, Jan Bjoranger, Dylan Blackmore, Bard Monsen, Luigi Di Filippi, Mari Tampere-Bezrodny, Cihat Aşkın, Itzhak Rashkovsky, Wei Dong Tong, Vaclav Hudacek and Hakan Sensoy. She also had the privilege of working with Lord Menuhin’s accompanist Paul Coker. She has collaborated with artists such as: Gary Hoffman, Guy Johnston, Laurence Cummings, Luc-Marie Aguera, Jeremy Menuhin, Margaret Faultless and many others. Having had success at international and national competitions, Ezo has been awarded prizes at: “Virtuoso and Belcanto Violin Competition”, second place at the “Josef Micka International Violin Competition”, first prizes in the Marlow and Woking Music Festivals. She was awarded prizes for „The Most Outstanding String Player“ and „The most Committed Performance“ at the Marlow Festival and was chosen as the joint winner for the Junior Young Musician of the Year at the Woking Festival.